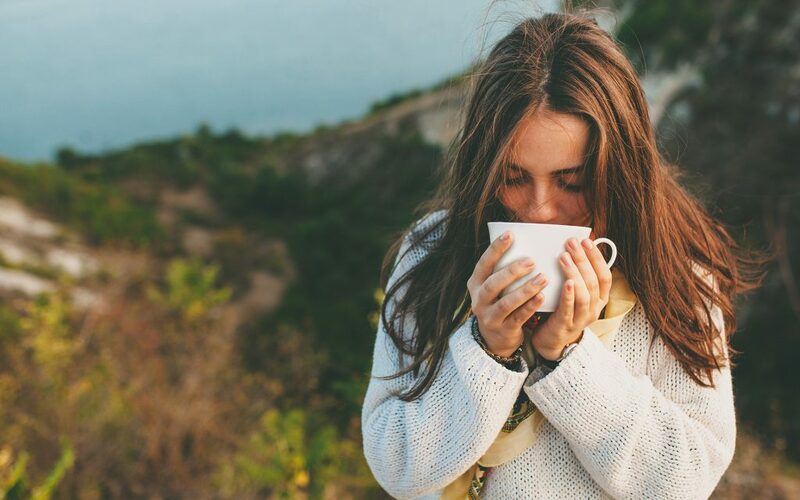 Now that cannabis is expanding across multiple markets, canna-connoisseurs have started sampling a variety of ways to consume this wonderful plant. 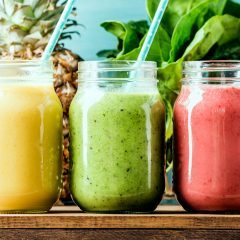 Gone are the days of stale pot brownies and your friend’s less-than-stellar “happy cookies.” Now, we’re seeing five-course infused meals, hemp protein bars, and even infused honey sticks! 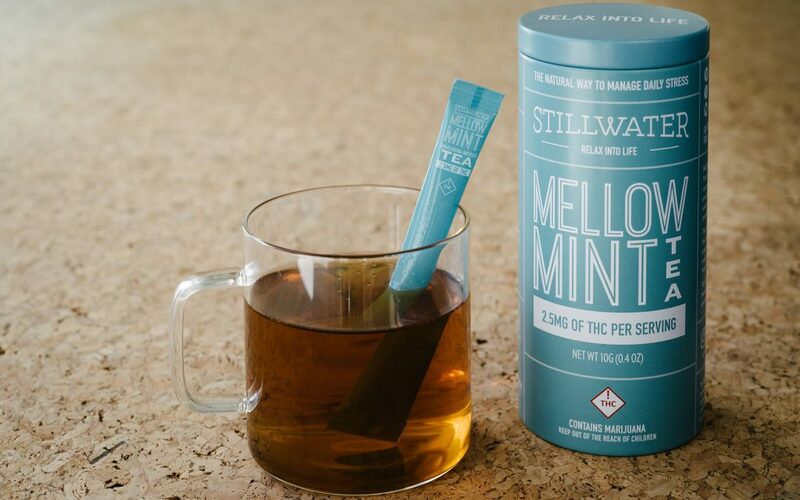 Stillwater’s Mellow Mint teas are designed for slow relaxation with just 2.5mg of THC per serving. 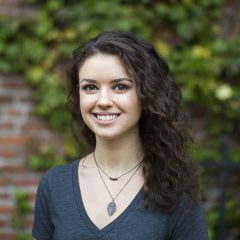 With a delicate blend of caffeine-free Egyptian-sourced peppermint and water soluble, low-dose THC, Stillwater created these little packets with “a simpler, more peaceful life” in mind. 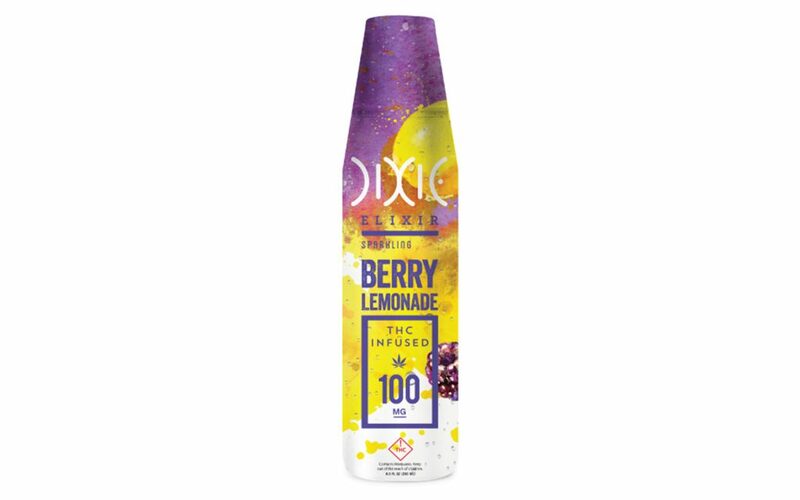 This limited edition Wild Berry Lemonade by Dixie Elixirs is sure to soothe any sweet tooth without being saccharine. And don’t let the bright packaging fool you — Dixie ensures no artificial coloring goes into their delicious drinks. Break these bottles out when the weather gets hot, and cool off with friends without the worry of overdoing it (each bottle comes with its own dosing cap for safe and steady consumption). 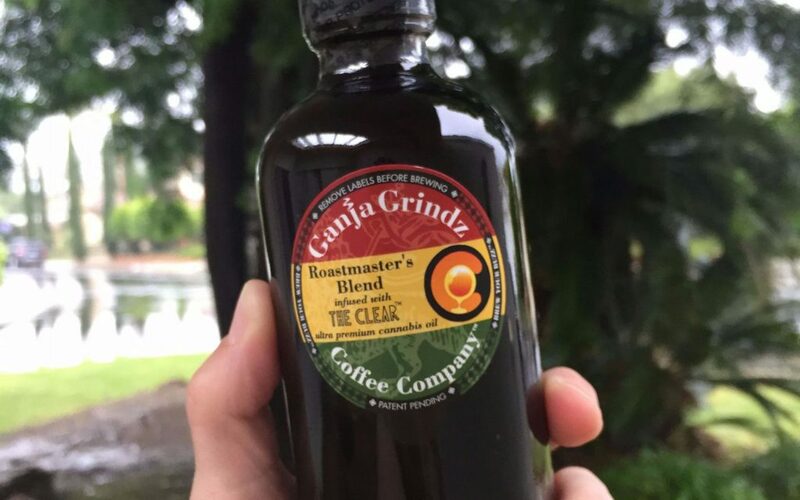 If you like a bit of caffeine with your cannabis, the dark roast Columbian Supremo blend in Ganja Grindz’s bottled cold brew coffee evokes a jolt of wakefulness while keeping you medicated. The non-GMO fair trade beans that go into every bottle mix perfectly with a good dose of THC produced by The Clear. Disappointed with the taste of other infused drinks, Sprig felt the need for a product that was light yet also carried a nice dose of THC. 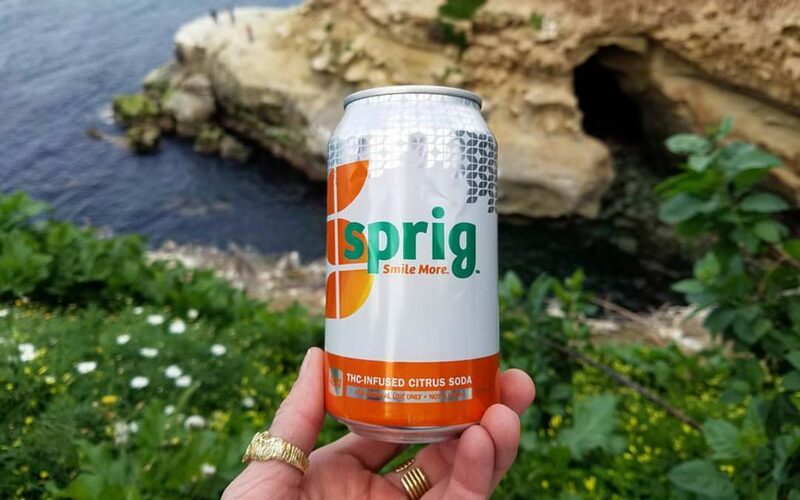 Enter Sprig’s Sparkling Citrus — a scientifically formulated beverage that doesn’t taste like you’ve just licked the leftover keif in your grinder. These cans carry a refreshing flavor that isn’t overwhelmed by the earthy notes characteristic to cannabis. 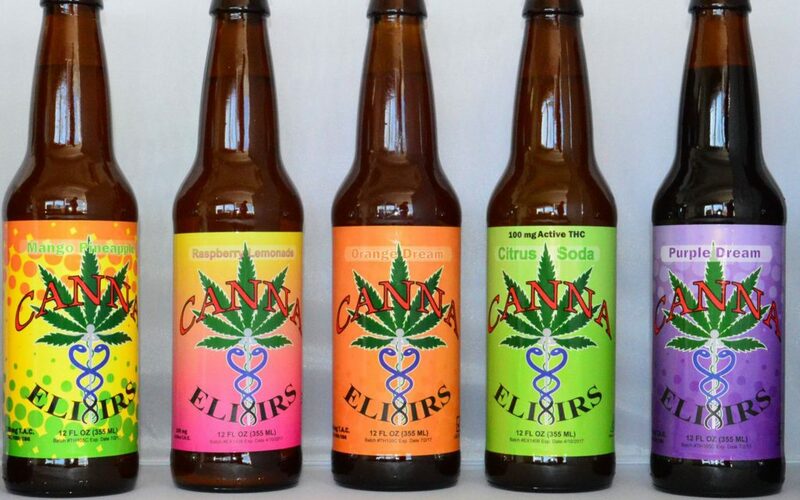 Canna Elixirs offers such a vast array of tasty soda flavors that we can’t recommend just one! 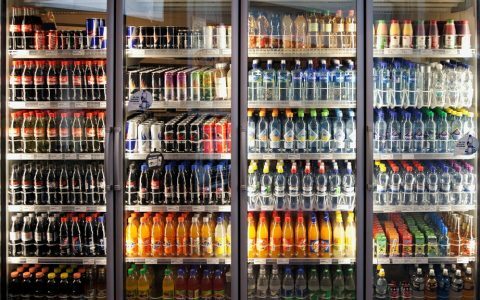 From classics like root beer to punchier options like Mango-Pineapple, there’s a soda for everyone’s tastes. Each bottle contains 100mg of active THC, so if you’re new to the cannabis scene remember to start slow on this one. 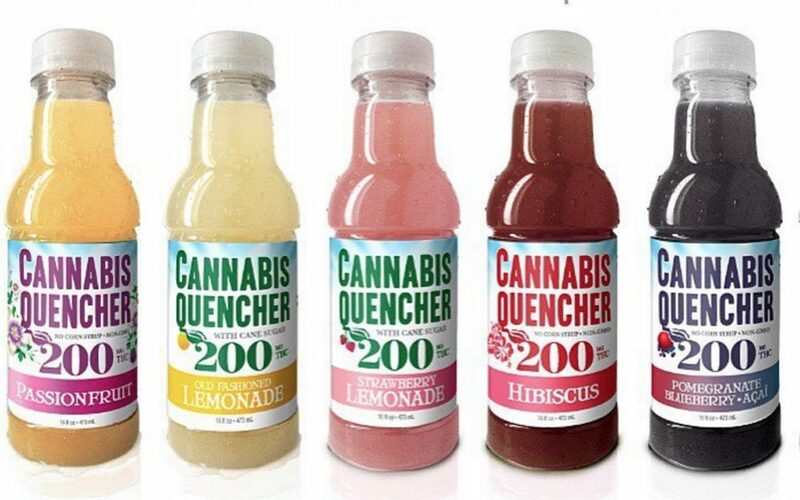 If your looking for a beverage with a unique taste, look no further than Cannabis Quencher‘s Hibiscus 200. This deliciously tart beverage is a real heavy hitter with 200mg THC and a floral kick! 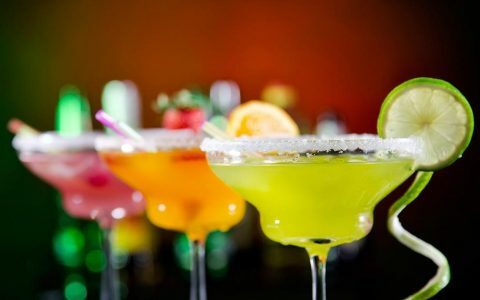 What are some of your favorite cannabis infused beverages? Let us know in the comments below! Legal Lemon Ginger Beverages are the best! All natural! jesus wept, 100 mg ? 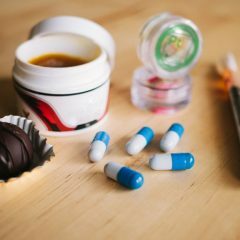 200 mg? Not terribly responsible there, guys. Idiots are going to drink these and get fucked out of their skulls and the prohibitionists will jump all over this and say “See? SEE? We TOLD you it was a bad idea to legalize the debbil’s weed” Those are waaaay too strong. Come on, you know people are going to drink the whole thing in one go. Ten minutes later “Gee, I don’t feel nothing, better drink another one.” And green out something awful an hour to 90 minutes later. 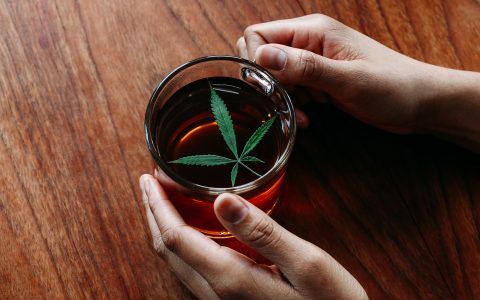 You can infuse your own cannabis tea at home easily. 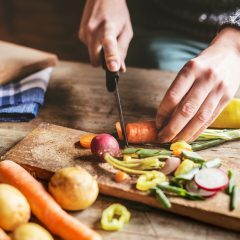 Put 6 drops of a good quality EVOO in a small sauce pan, 3 cups of water (24 ounces), a tenth to a quarter of a gram per serving of finely ground cannabis flowers, bring to a boil, turn down to simmer for at least 10-15 minutes stirring every 5 minutes, strain through a coffee filter and get approximately 2 cups of home brewed tea. I drink it plain but you can of course add whatever you like. So mellow and long lasting. Drink the first cup, refrigerate the rest and drink it later. Keep you high for hours and hours.